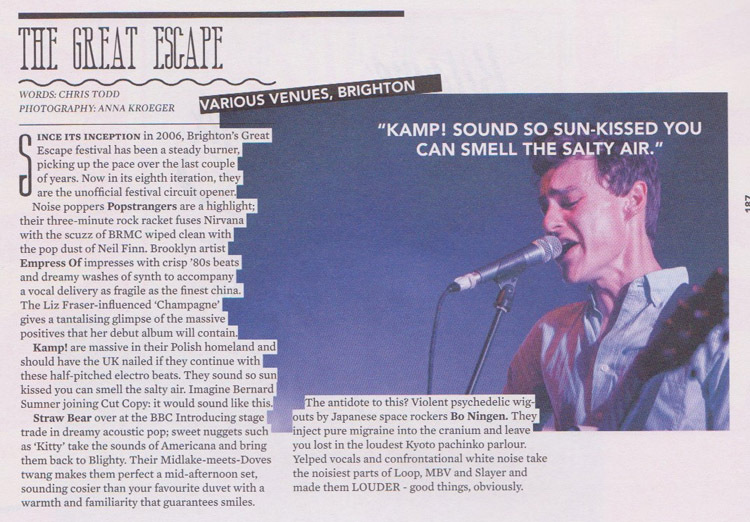 After wowing Tom Robinson with a live session on his BBC 6 Music show, he picked Straw Bear to appear alongside some of the UK’s most hotly-tipped new bands at the BBC Introducing Stage at Europe’s most prestigious new music festival, The Great Escape. 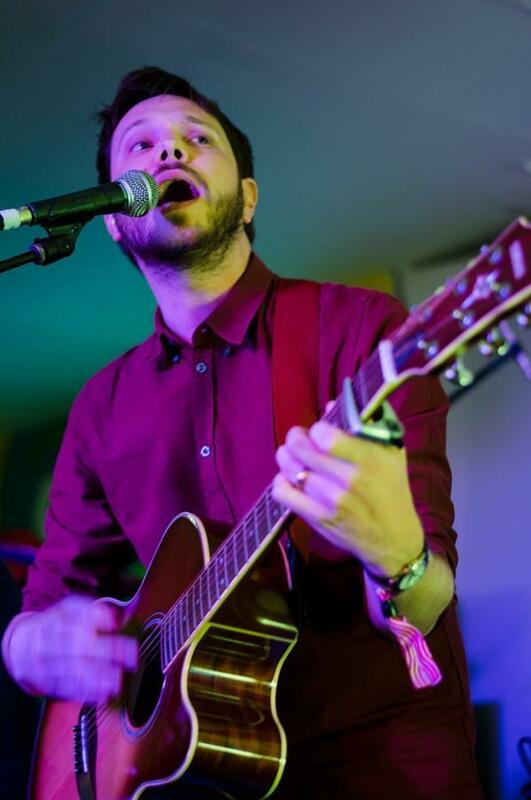 This is just another indication of Straw Bear‘s rapid rise to prominence – after local, national and now live national BBC sessions, and endorsement from huge Radio 2 DJs Whispering Bob Harris and Dermot O’Leary. This recording was broadcast on BBC Radio 1 on 20th May 2013. 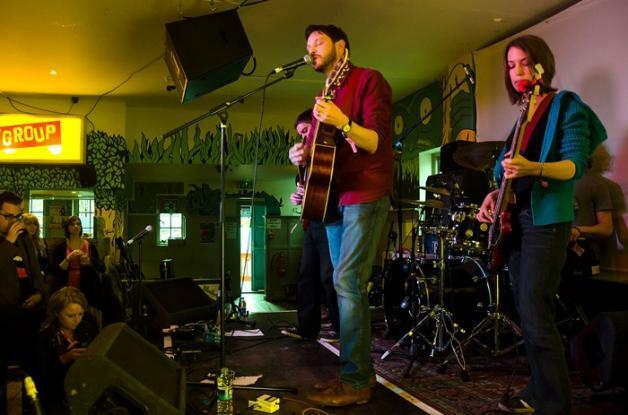 Straw Bear have been chosen alongside some of the UK’s most hotly-tipped new bands to perform at the BBC Introducing Stage at Europe’s most prestigious new music festival, The Great Escape. 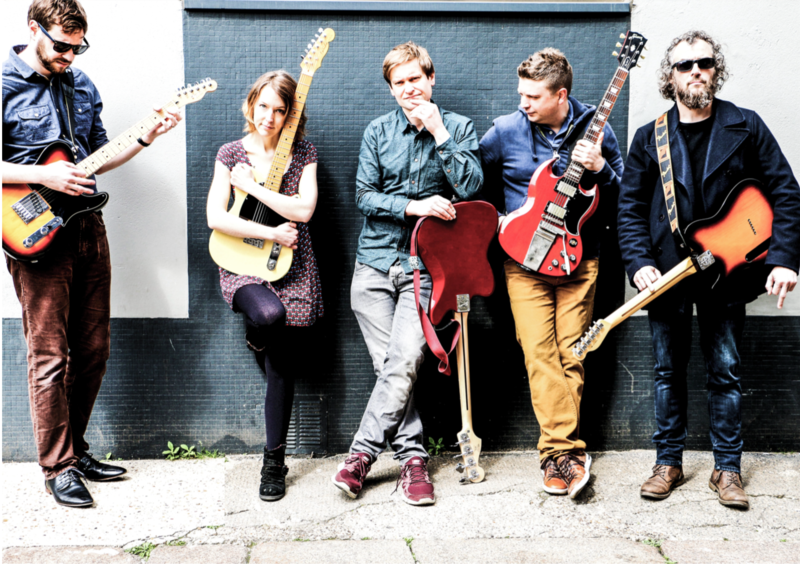 Selected by hugely-respected BBC DJs Tom Robinson, Huw Stephens, Jen Long and Ally McCrae, Straw Bear will be performing with Childhood, Iyes, and Lauren Aquilina; and live recordings of their show will be played over the various BBC networks the following week. 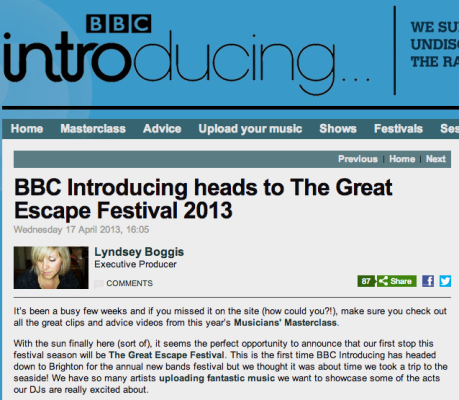 Read more on the BBC Introducing blog here!